Ms. Tammeil Gilkerson is Laney College’s next new president. 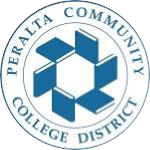 The Peralta Community College District Board of Trustees approved her nomination on Feb. 21 after Chancellor Jowel L. Laguerre, Ph.D. submitted her name from a pool of three finalists. A Bay Area native, Gilkerson currently serves as Contra Costa’s Vice President of Academic and Student Affairs. She’ll begin her tenure at Laney on March 30. One of seven children, Gilkerson grew up in Hayward where her parents still live. “My siblings and I truly reflect the diversity of the Bay Area – African American, Latino, white and Asian – and from a young age this instilled in me a deep respect and appreciation for diversity, but also a direct view of the social and institutional inequities that plague our society and directly impact the lives of our students,” Gilkerson said during her presentation at the Laney President Candidate Forum on Jan. 30. Gilkerson was the first in her family to attend college – obtaining a bachelor’s degree in history from the University of California, Berkeley. She also went on to pursue a master’s degree in counseling, and she is currently completing her doctorate in educational leadership. Gilkerson began her community college career as a faculty member in psychology-counseling at Chabot College. She also served at Evergreen Valley College, overseeing all of the counseling, transfer services and key categorical programs, including Disabled Students Programs and Services, EOPS/CARE & CalWorks, and the foster kinship care program. Gilkerson also served at San Jose City College as Interim Vice President of Academic Affairs where she championed the college’s accreditation issues. In addition to her work in community colleges, she served as the Academy and Education Policy Director at The Greenlining Institute and in positions at UC Berkeley in the Office of Student Life and the Early Academic Outreach Program. At the Feb. 21 Board of Trustees meeting, Gilkerson said that her education and previous job experience had prepared her to serve at Laney College. “I am excited to be joining a community so focused on student success and helping nurture and lead Laney in pursuit of its adopted mission and vision,” she said. Though born and raised in Hayward, La-Kiysha Johnson considers herself a true Oaklander. She takes some credit for her part when as a child she helped her grandmother raise funds to purchase the lights that surround Lake Merritt. She is also proud to talk about her strong ties to Laney College. Johnson recently returned to Laney after dealing with some health issues, and now she’s looking to graduating. She has chosen Cal State East Bay as the four-year university she wants to transfer to after she gets her AA. She wants to be an investigator and earn a degree in criminology. She’s quite determined about what she wants to do careerwise and has already earned a certificate in correctional science from San Joaquin Delta College. That energy and passion has kept her motivated even through periods when Johnson has faced homelessness. Her experiences have prompted her to seek ways in which she could help fellow students. She’s joined the Associated Students of Laney College (ASLC) where she holds the role of publicity commissioner. But that hasn’t been enough; Johnson is also a leader in the growing movement to secure affordable housing for students. Her vision is to have the Peralta Community College District or the State of California grant a piece of land where affordable housing could be built for students. Johnson is also organizing an event for students in April called “A Night To Remember Underneath The Stars.” She wants musicians to perform, artists to display their work, and has invited Oakland Mayor Libby Schaaf. “She’s said she’ll attend,” said Johnson excitedly. There are a couple of the things that Johnson said she’d like from the college administration – extended library hours and daycare for students who take night classes. “That would be so helpful for so many students,” she said. Milton 510 Bowens’ latest collection, The Discovery of Urban Cotton Fields, now on display in the June Steingart Gallery at the Tower Building, comes just at the knick of time – after the two terms of America’s first African American president. Milton, a Laney alumni and one of the most sought after black artists today, said that the collection speaks to the mental conditioning that many African Americans endured during slavery – a state of mind that he said it’s still perpetuated today. “The Discovery of Urban Cotton Fields is actually dealing with how African Americans are, in some cases, quickly to dismiss our own struggle and accept a narrative that is derogatory towards us. And, it’s almost as if we’re returned back to a slave mentality and we’re basically operating in urban cotton fields,” Milton said. Milton’s exhibit has a lot of history behind, all with the aim to shed light at the systematic reinstatement of slavery today through the prison industrial complex, entertainment, and media. Even one has to wonder, said Milton, about what happens to those musicians who try to empower their communities. A good example is Arrested Development, a black music group that gained mainstream exposure in the late 80s and 90s. There may be some hope that perhaps things will change in Hollywood after last year’s #OscarsSoWhite topic on social media. Still, Milton doubts Hollywood is really that liberal. The solution to changing how black people are seen and portrayed in the mainstream, Milton said, is for African Americans to re-think how they see themselves. Laney’s tiny house, called “The Wedge” has been turning a lot of heads. Sitting on wheels at the Construction Canopy near Building G, The Wedge is quite the attraction for those who’ve been hearing about tiny houses, but had never actually seen one in person. Built by students from the different CTE programs – carpentry, welding, the FabLab, and others, the tiny house embodies net-zero design philosophies, meaning it generates all the energy it needs on site. “I had been watching on HGTV shows about tiny houses – ‘Tiny House Nation’ and others. I was thrilled that the college had one,” said tiny house fan and Laney Interim President Dr. Audre Levy who toured The Wedge earlier this month along with Carpentry Chair Cynthia Correia. Back in July the City of Oakland allocated $80,000 for Laney to create a tiny house prototype. Other colleges have also received similar funding. The hope from city officials is that this tiny house movement could bring relief to folks looking for housing alternatives, and for those facing homelessness. The Wedge had its debut in October when it entered the SMUD Net Zero Tiny House Competition. The project received $4,000 as the winner of the Architecture category for their entry. Laney Carpentry students also won in four other categories, Best Design, Best Furnishings, Best Landscaping, and Best Video. Laney’s tiny house and success has sparked more interest in the college’s CTE programs. Watch a video about The Wedge on YouTube at http://bit.ly/2lS3esg. Q Dean Graves, tell us a little bit about yourself and the different roles you’ve had at Laney. A I started out at Laney in the English department in 2004. I felt a calling to teach way back in 1990 when I became part of the charter corps of Teach for America and taught elementary school in the South Bronx. After studying Creative Writing in graduate school at Mills College, I spent years working in community literary arts–with Youth Speaks, Poetry for the People, and the Mills Upward Bound program. I believe in the transformative power of the written and spoken word, and I always try to instill that belief and power in my students. I received tenure in 2008 and became co-chair of the English department in 2012. This past October, I stepped into a new role as Associate Dean of Educational Success. I oversee the Adult Ed Block Grant (AEBG) which includes Laney’s Adult Transitions Program (ATP), and I support faculty in the development of noncredit courses. I also work with several Equity funded programs including Umoja-UBAKA, Asi Se Puede, the Community Engagement Center, and Restoring our Communities Initiative (ROCI) for formerly incarcerated students. Q What is your vision for this new program? A Umoja-UBAKA is geared towards closing the achievement gap and promoting success for African American students at Laney. Umoja-UBAKA is a learning community that serves African and African American students. We are open to all students, but our programming focuses on African/African American culture. We have recently joined the statewide Umoja consortium. Umoja means “unity” in Swahili. UBAKA means “supreme wealth and wisdom” in Igbo, and was a name chosen by a former Laney student. Umoja incorporates student success practices including: the ethic of love, raising intentional and deliberate choices, and language as power. Umoja-UBAKA is co-coordinated by Laney faculty members Adrienne Oliver and Kimberly King. Our staff assistant, Chris Brown, is a former Laney student and tutor, and we recently hired a new part-time counselor for the program, Jerel McGiffert. Our cohort courses are taught by some of Laney’s most empowering and inspiring educators including long-time Math faculty Tracy Camp, Antonio Watkins in English, Doug Cobb in Counseling, and Jimmy Crutison in African American Studies. Q Are there any upcoming events that the Laney community should know about? A We have several upcoming workshops (see attached). On Thursday, March 9 for Women’s History Month, we have an exciting panel including Judy Juanita, former Black Panther and author of Virgin Soul. On May 19, right before finals week, we plan to have a Malcolm X birthday celebration and end-of-semester party to celebrate Umoja students and achievements. Q How can interested folks get involved? A Visit the Umoja-UBAKA website: www.laney.edu/wp/ubaka to find a program application or contact Chris Brown, staff assistant at, 510-464-3412 or at christopherbrown@peralta.edu. You can also visit the Umoja-UBAKA Village at Eagle Village 2. Laney’s new public information officer or “PIO,” Dolores M. Bernal joined Laney College in late December. Born in San Francisco’s Mission District, Bernal spent part of her childhood in Mexico and El Salvador where she learned about her parents’ culture and also to speak and write Spanish. Bernal attended school in Washington, D.C. and graduated from the University of Maryland, College Park. Soon after, she began her career as a radio journalist with Free Speech Radio News (FSRN). After D.C., Bernal went on to work as a newspaper reporter in various states for Gannett and for GateHouse Media. Her beats included higher education, covering New Mexico State University and Dona Ana Community College in Las Cruces, New Mexico. But she found her niche as a disasters reporter covering the aftermath of Hurricane Katrina, Hurricane Rita, Hurricane Gustav, the earthquake in Port-au-Prince, Haiti, and others. Bernal is still working on her master’s degree in Threat & Response Management at the University of Chicago. She doesn’t see herself returning to any disasters any time soon, but enjoys learning about the logistics of the government’s response to those, often tragic events. At Laney College, Bernal is serving the campus in various ways – sending out event information and other important announcements; leading the launch of the college’s new website; creating newsletters, and reaching out to the media. You can reach Dolores at, dbernal@peralta.edu. Her office is located at the Tower Building, Room T-807. Laney College, in partnership with Tesla Motors, invited approximately 90 Oakland Unified high school students to attend a presentation about the company, electric batteries, and careers in the green energy sector. The students were engaged and asking questions pertaining to Tesla’s technology and the future of green energy. Additionally, the students heard a presentation regarding Laney’s high school summer program, as well as a talk by Laney’s Electrical Department Head and Laney’s Career Pathway’s Grant’s Employment Services Manager. The Laney Newsletter is published by the Office of Public Information. Submit story ideas by the 15th of every month to Dolores M. Bernal, Public Information Officer at LaneyPIO@peralta.edu.